Stunning, renovated and expanded by architect. You must see the interior! 5 level split, hardwood floors. First floor walls of windows and totally open space. Kitchen island, custom kitchen aid stainless steel appliances, walk-in pantry, main level powder room, bonus room with closet. Lower level family room, with side door exit, full bedroom with hall bathroom. The second lower level is unfinished but insulated and ready to be turned into a playroom, "man cave" or any other future use. The second upper level is two bedroom suites and the laundry facility with storage and sink. All the way up (Upper level 3) is the master suite, an impressive, full private floor with his and her vanities and glass shelving for storage, soaking tub, expansive shower, water closet and additional linen/storage. Walk in closet with his and her sides. The rear yard is ready for family use with fencing being completed as we speak. 2 car garage. 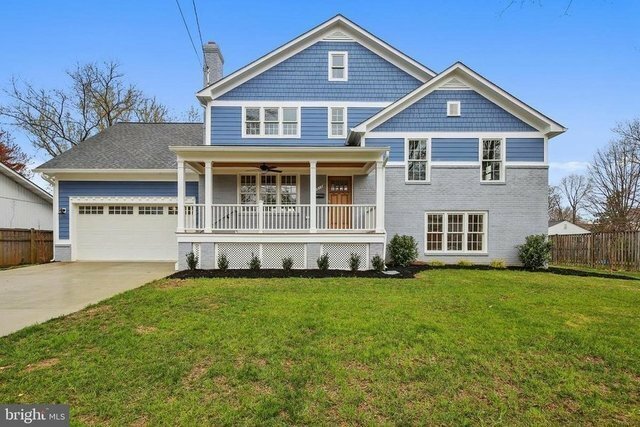 Don't wait to see this home it's PERFECT and close to Bethesda Center, metro and shopping!